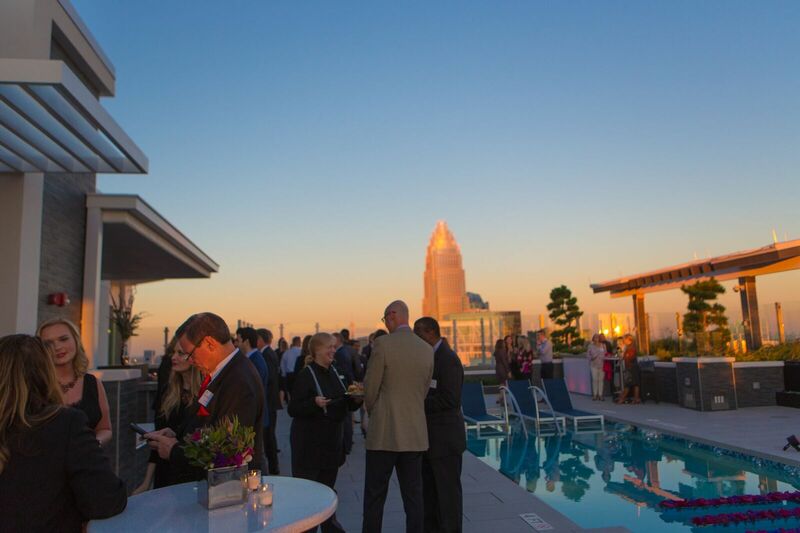 During the month of October, there were many wonderful things to celebrate for Lincoln Property Company, including the grand opening of Museum Tower in Charlotte, North Carolina. 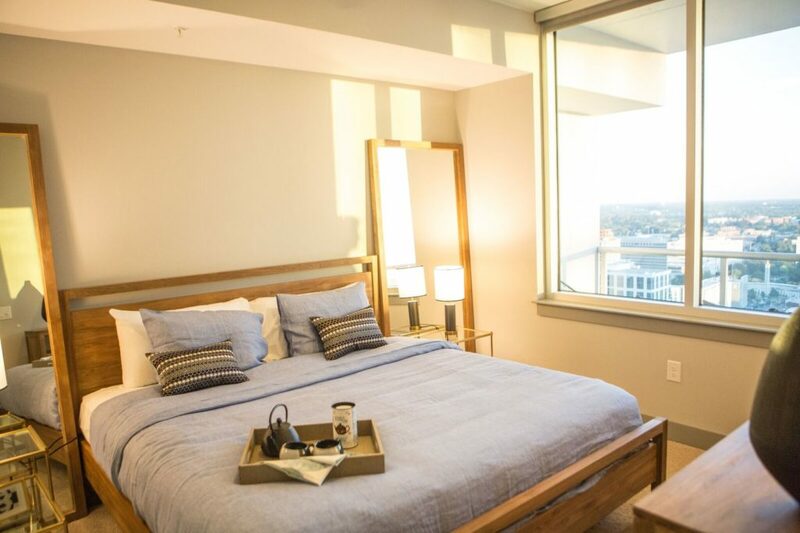 This exceptional residential community is located in the heart of Charlotte, with one and two bedroom apartments, as well as premium penthouses. Upon entering the lobby, guests were greeted by glasses of champagne and the sound of a live cello before stepping foot into the elevator. On the way to the 43rd floor for the main festivities, guests had the option to make a stop on the 32nd floor to get a first look at the spacious one bedroom model, complete with an extremely large balcony. 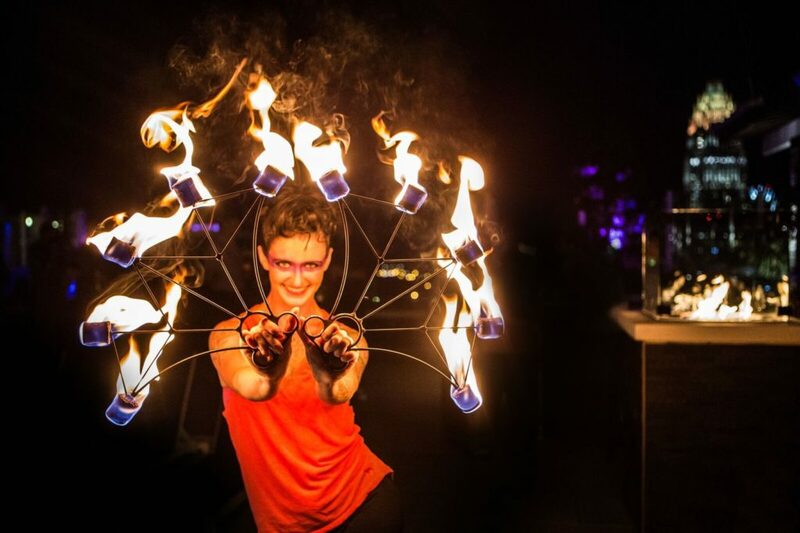 As guests exited the elevator, an aerialist dangled over a crystal clear pool filled with fresh cut flowers and floating candles, while local artists worked to capture the lively atmosphere. A DJ, a gorgeous sunset, and breathtaking skyline views acted as the perfect backdrop for a perfect evening. 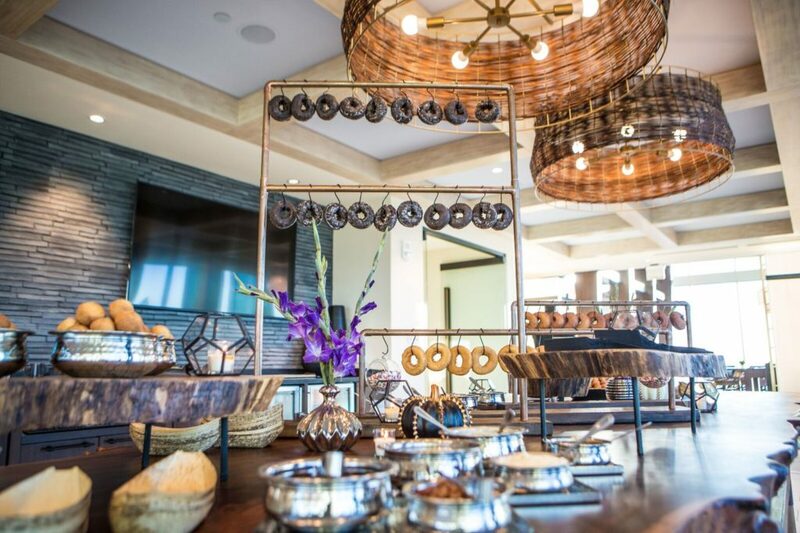 A live chef grilling station, raw sushi bar, and a “design-your-own-doughnut” display were available for guests to pair with specialty Museum Tower Cocktails made with Titos Vodka. To learn more about one of our amazing properties, contact us today!